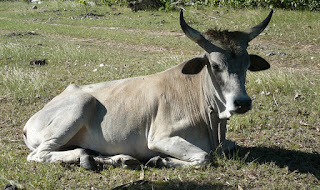 RussJones.Us: When Sacred Cows Moo! 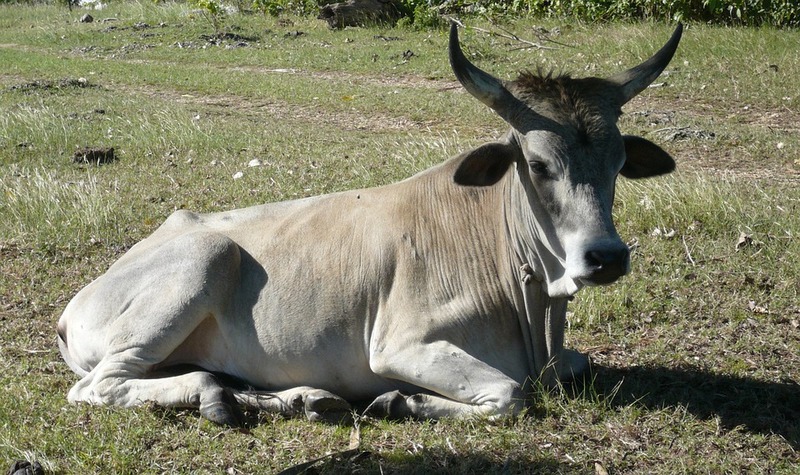 What is a sacred cow? It is something that is loved so deeply that it will be protected and defended. Sometimes to the death. It can be a tradition, an object or even a belief. The problem is, change happens and if the cow doesn't change it can become steak. Zig Ziglar often told the story of the time he won a country ham in a sales contest. When he got home, he handed the ham to his wife, who mmediately cut the end off the ham and placed it in a pan. Zig asked, "Why did you cut the end off my prized ham?" "Well, that’s how you bake them," she replied. "That’s how my mama cooked a ham." When Zig asked why she said, "I’m not sure, let’s call Mama and ask." So they called Mama, and she said. "Well, my mama always did it that way," So they called Granny. "Granny, why do you always cut the end off the ham? "Well," Granny responded, "I don’t know why you two did it, but my pan was too short!" As you approach this Christmas season, you may wonder, "Why do we do this?" If the response is, "It's because that's the way we've always done it." you may want to reconsider. Jesus changed everything. Read the Gospels he upset the religious elites and their take on the Law of Moses. In the Sermon on the Mount, He sets the record straight. I bet there was a lot of mooing after that! Here are a few you might consider this season. - Why do we always have to go into debt every Christmas? - Why do we have to run ourselves ragged trying to do everything during the holidays? - Why does our house have to be lit so bright they can see it from outer space? #1 - Establish what Christmas is going to mean to you and your family this year. Share it with the rest of the family and get them to agree. #2 - Build your holiday celebration around that purpose. If you decide to make Christmas about others who need help - volunteer at a local soup kitchen or sing carols at a local nursing home. #3 - Don't be afraid to say NO. I know there are some things you have to do, but you don't have to do everything.